The Garden of Java, a plain bordered by a centuries-old volcano. Glossy green palm trees, one-horned rhinoceroses, giant flowers in changing colours, prehistoric buffalo, and bent-backed pilgrims. The temple of Borobudur, shrouded in mist, rises up like a lotus blossom. 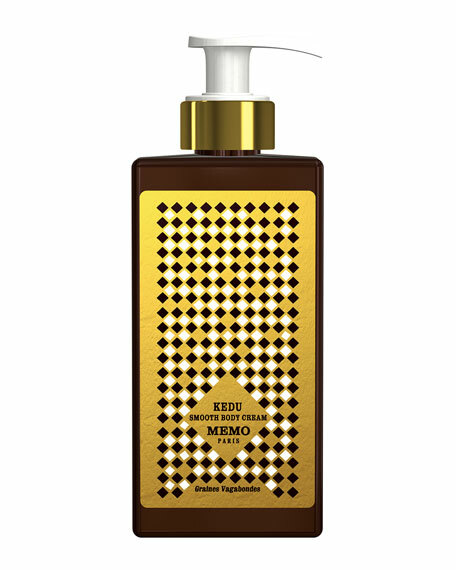 Kedu is available in a shower gel for a sudsy journey with a soft touch. This body cream contains a rich complex of the most trusted moisturizing, softening and calming ingredients, such as Shea butter, Aloe Vera and vegetable Glycerin. The creamy texture is ideal for everyday use all over the body. 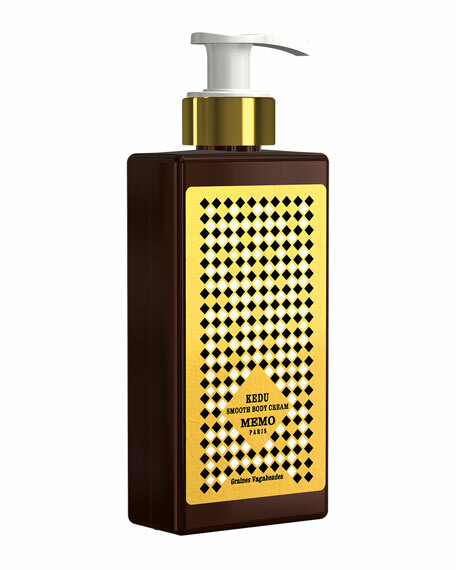 Made with natural plant extracts, the Memo Paris cosmetics lines were especially designed to promote skin wellness. The products, all paraben-free, were developed using the latest advances in cosmetic research. Lancer The Method: Body Nourish Cream with Hylaplex? ?